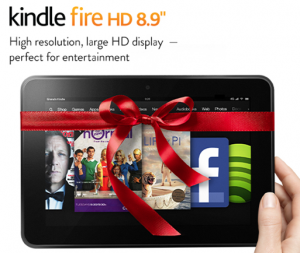 Kindle Fire HD Just $109! You are here: Home / Great Deals / Amazon Deals / Kindle Fire HD Just $109! Here’s an awesome deal on a Kindle Fire, but you’ll have to hurry because it is valid today only! Head over to Amazon and get the Kindle Fire HD 7″, HD Display, Wi-Fi, 8 GB for just $109 after promo code MAYDAY30. Or, if you prefer the 16 GB, it will be just $139.